For over a decade, Adrian Calabrese has helped others unleash their spiritual power to achieve their greatest potential and create miracles in their lives. 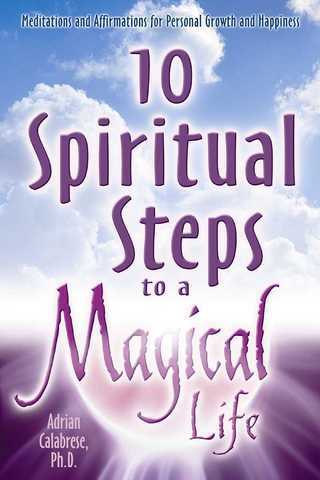 Now she outlines her simple approach that offers the opportunity for unlimited spiritual growth. Whether you follow a traditional path or consider yourself a spiritual seeker, Adrian's loving, nondogmatic approach guides you toward greater emotional and spiritual happiness. When you follow the ten steps faithfully, you will begin to see your life change in a very special way. Not only will you become happier and more sensitive to others, you will notice that you suddenly attract whatever your heart desires!